I like post apocalyptic fiction, the stories are normally interesting and I always learn something from them. Often it is what not to do. 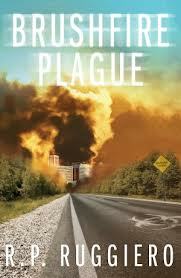 I just finished reading a book called Brush Fire Plague by R.P Ruggiero. It was a book I quite enjoyed. At first I wasn’t sure I was going to like it, the first couple of pages seemed to be a little stilted. But after that, it got better and I found myself really enjoying the book. The book dealt with a plague in a suburb of a large metropolitan area. I don’t want to say too much so as to give the plot away. But it provides some insight into the choices of bugging in or bugging out and on how to work with your neighbors. It doesn’t solve all of your preparedness problems and does not address many areas. But it was a fun read and I did get some new ideas from it. This entry was posted in books and tagged books.Howard, Brush Fire Plague. Bookmark the permalink.